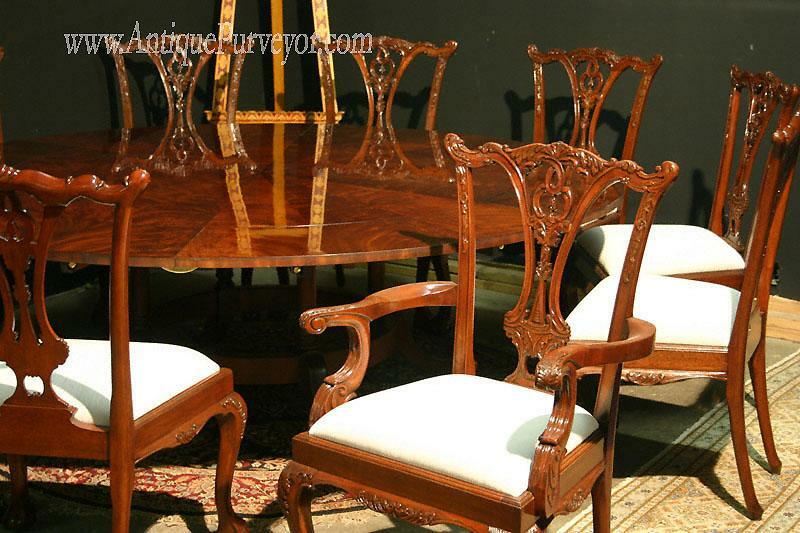 Description: The above style chair, we call 18thcentury, is available from different regions. 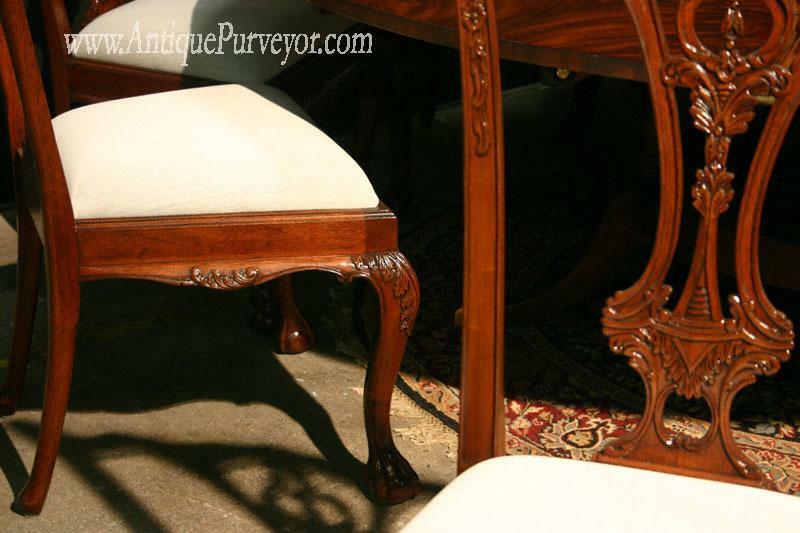 It is my personal favorite Chippendale ball and claw chair. 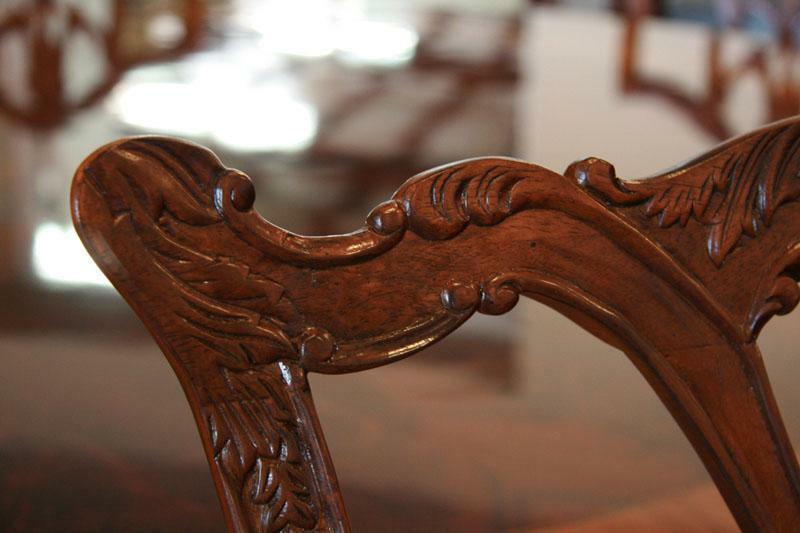 We have a solid mahogany version from the Phillipines which is shown in the first three rows of thumbnails above and a kncoked down version from Vietnam which is shown in the last two pictures (darker brown). Both versions offer spectacular quality and great price points. 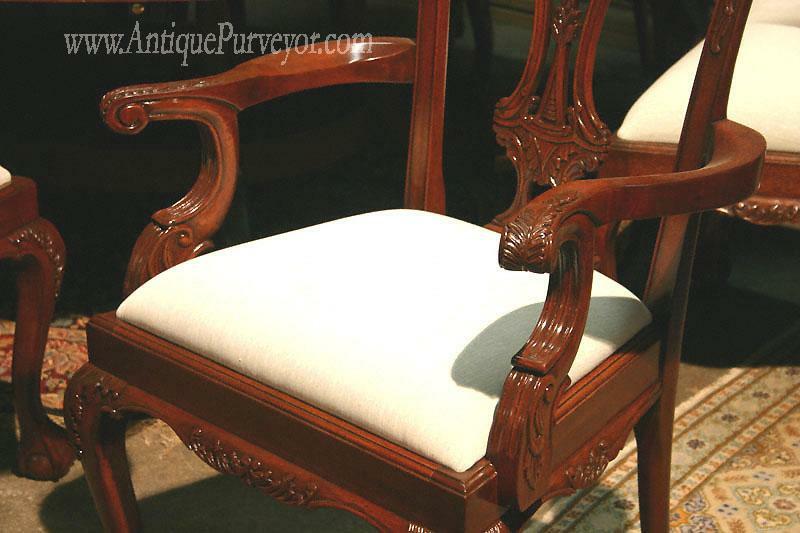 Please visit our straight leg chippendale chair link to see how these Vietnam chairs assemble. 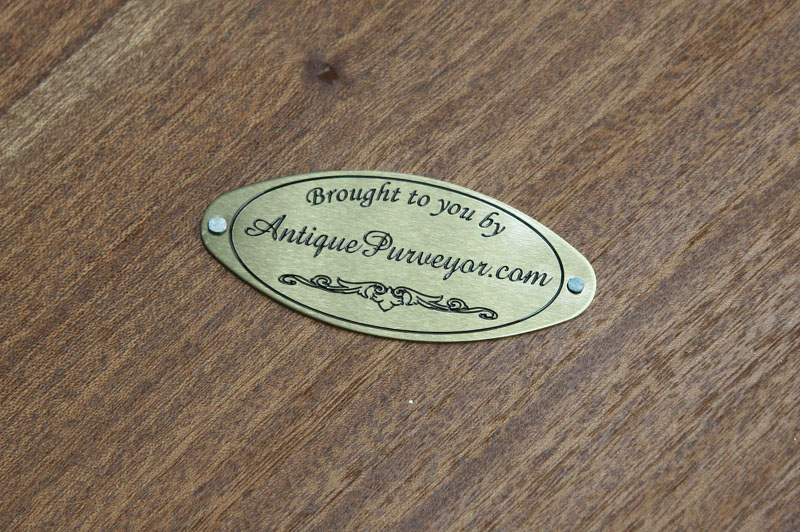 Condition: New chairs. 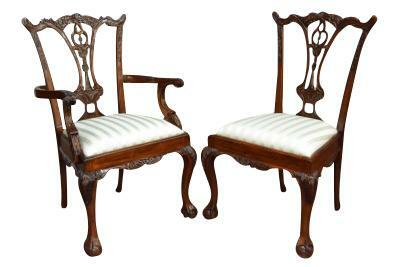 Please see model 011 for the replacement chair for this style.